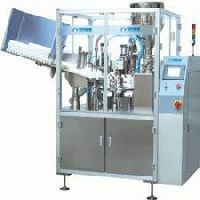 Features : The pump unit has a vertical dosing system, which aids in easy suction. Output : 40 to 45 Tubes/min. 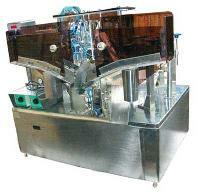 Machine Dimension : 1950 L X 1180 W X 1800 H.
Net Weight : 480 Kg. 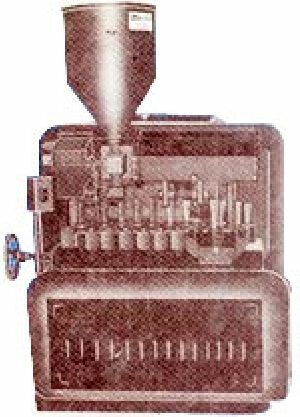 Power : ½ HP Motor, 220 V, 50 Hz, Single Phase. 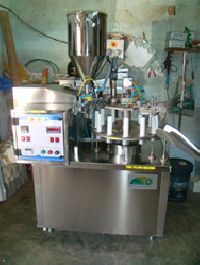 Capacity : 5 gm. 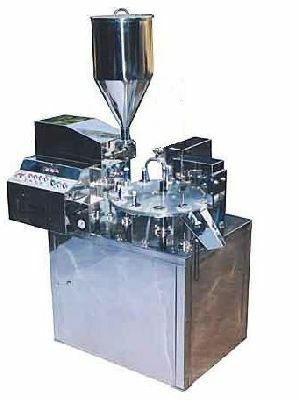 to 100 gm. 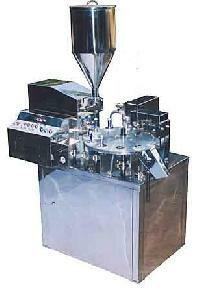 Models available in single/double/four head. Suitable for aluminium/lami/plastic tubes. 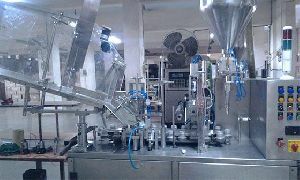 Capacity 60 to 180 tubes per/min. 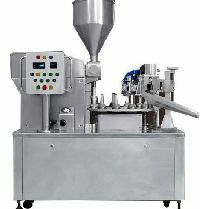 Combi model available. 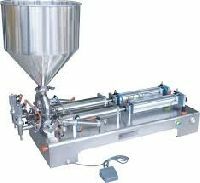 Change over time from lamito to aluminium and vice varsa is very less Tube orientation unit, jackpot hopper In-feed system for avail tubes. 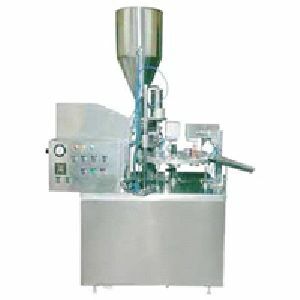 The machine is suitable mainly for pharmaceutical, cosmetic and food industry. 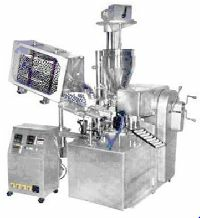 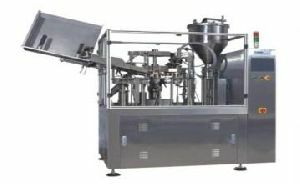 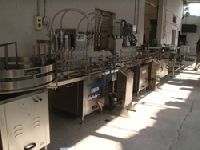 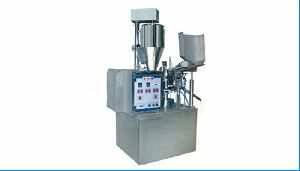 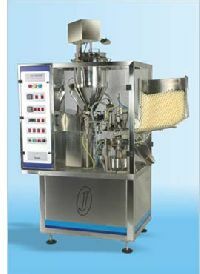 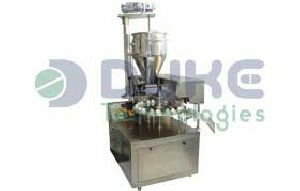 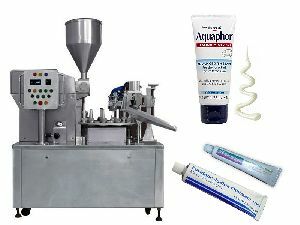 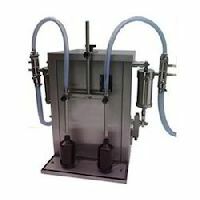 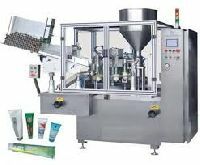 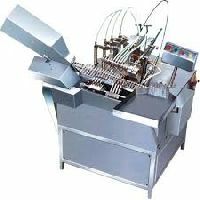 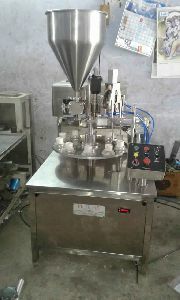 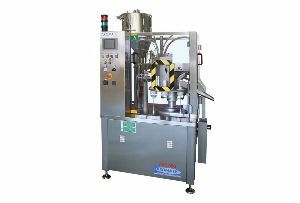 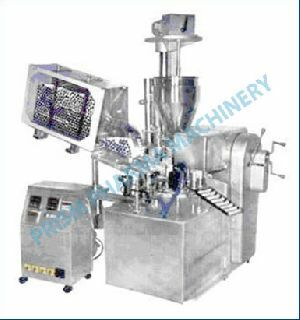 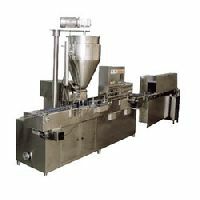 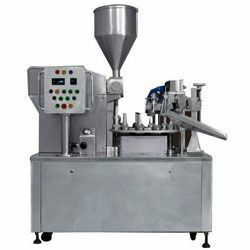 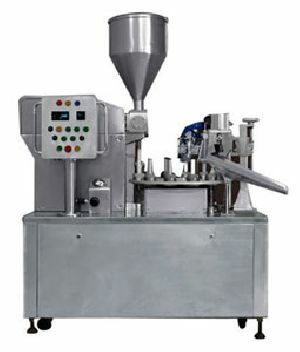 Machine can be used for filling of cream, ointment, gel, paste, balm and other similar viscous products by means of a volumetric dosing system. 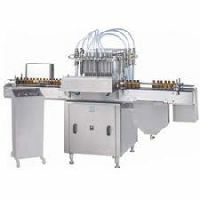 Automatic tube filling machine overall process as tube supply, photoelectron register, inert gases filling (optional), material filling and sealing, batch number printing, finished products output. 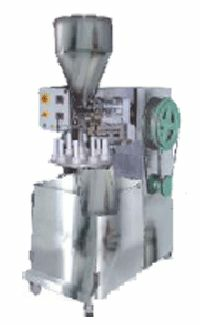 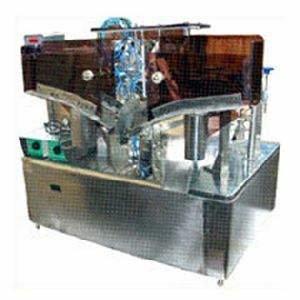 A unique machine exclusively designed for Aluminum as well as Lami and Plastic tubes. 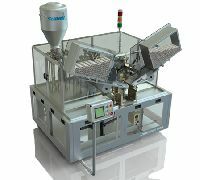 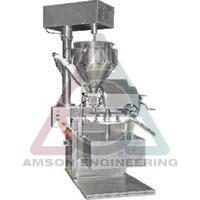 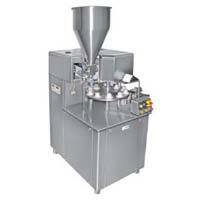 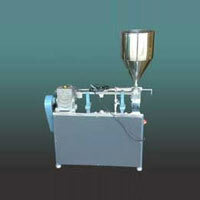 It can perform filling, sealing crimping, batch coding ejecting all in one stroke. 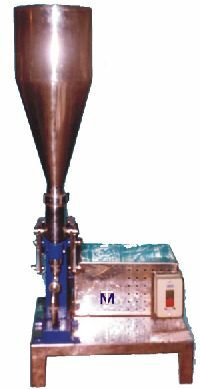 Hot air blowers are made use of sealing and no heaters are made to come in direct contact with the tubes and hence it give more than double the output comparing to the conventional sealing machines with heaters. 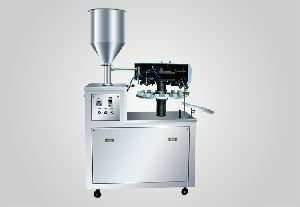 Available in single and double head model.. 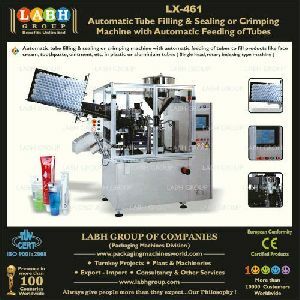 The tube filling, sealing and coding machine is sturdy compact in design and simple in operation. 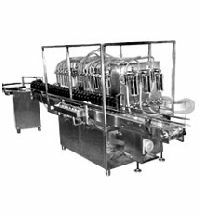 It consists of an aluminium-rotating disc with interchangeable tube holding sockets for different tube sizes.